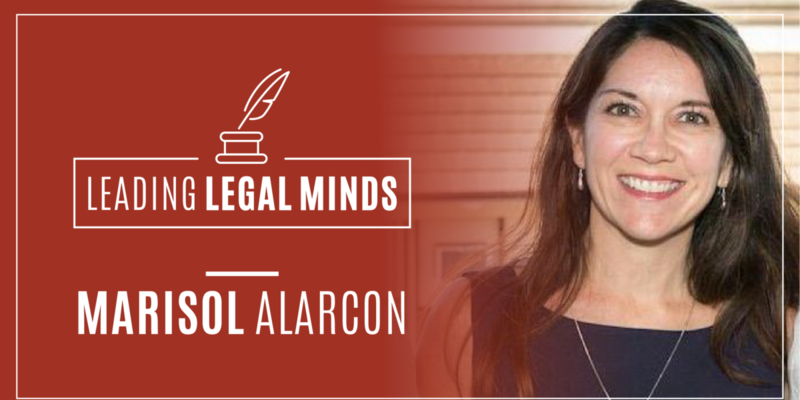 Marisol Alarcon’s first experience in court wasn’t during an internship or law school. It was during a 2011 custody battle between her brother and his ex, over a little girl that Alarcon herself helped raise. To Alarcon and her family, this case meant everything. But their lawyer didn’t share the same passion. Alarcon was working in clinical research at the time, traveling across the country performing drug trials. She had never thought about becoming a lawyer before, but her brother’s case sparked something inside her. So, she decided to go back to school and study law, with the intention of becoming the lawyer she thought her family deserved. Choosing to attend the Colleges of Law’s Santa Barbara Campus meant she could continue working while finishing her degree. Alarcon originally intended to practice family law. But a year before graduating from COL in 2015, she started working for a firm in Santa Barbara that specialized in immigration law and found herself connecting more with its mission. Alarcon now practices immigration law as a solo practitioner. Remembering her brother’s difficulties, Alarcon makes it a point to connect with the families she works with, learning about their lives and just how much they have to lose. She knows how vulnerable the demographic she works with is, and how many are not able to afford steep legal fees. To counter this, she tries to offer as much flexibility as possible and even allows clients to opt into a payment plan. But, she says, the current political climate only creates more obstacles. Major metropolitan areas like Los Angeles have a high concentration of immigration lawyers, which can overshadow the need for immigration lawyers in smaller communities such as Santa Barbara. This makes an already tedious process more difficult when you add commuting times, missed days of work, and subsequently lost wages—many can’t afford to do that. Alarcon continues to practice locally to fill that need for Santa Barbara and the surrounding communities, even though it makes her schedule a bit hectic. She has 50 to 60 cases that she is currently working on, and estimates that she has worked on 130 cases in her three-year career. Yet the legal community focused on immigration law that does exist in Santa Barbara is especially close, relying on each other for advice, all fighting to provide the best services for their clients. Community is especially important to Alarcon—it’s another reason she wanted a career change in the first place, to be better connected to where she lives. She currently serves on the board of several different nonprofits in the area, including the Santa Barbara County Bar Foundation, Carpinteria Children’s Project, and the Family Service Agency. Even though she never had dreams of being a lawyer, it has become the perfect profession for her passion. Inspired by a family torn apart, she now works to keep them together. If you would like to learn more about The Santa Barbara & Ventura Colleges of Law fill out the form below to request more information.